Is your car running rough? Is it difficult to start? Do you have poor acceleration, hesitation, or loss of power? 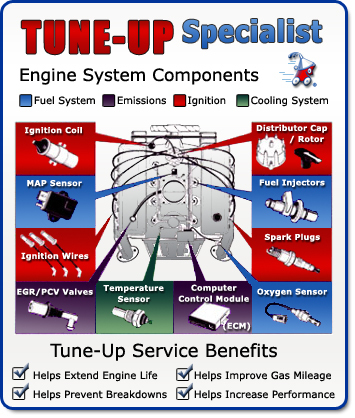 Do you hear knocking, backfiring, or the engine misfiring? Does your car stall when the engine is hot or cold or when using the air conditioner? Does the engine continue to run after you turn the ignition off? Are you getting less miles per gallon?